How We Test Electric Shavers - Which? Which? tests electric shavers to their limit to make sure we only recommend the best – and steer you away from those that will let you down. We test electric shavers from leading brands including Philips, Braun and Panasonic. The cheapest models are available for under £30, while the most expensive cost over £250. But brand and price go out of the window in our Which? test lab – all electric shavers are tested impartially to see which are the best. Does the shaver give a close and comfortable shave? How easy is the electric shaver to use and clean? 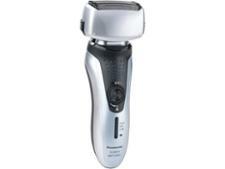 Find out which models give the best results in our electric shaver reviews. Does the electric shaver give a close and comfortable shave? We test each shaver 72 times so we can separate those electric shavers that cut you close from those that leave you with scratchy stubble. We use a panel of 48 men; some are wet shaver users and others use electric shavers. They have different types of hair growth: half shave daily, while the other half let their beards grow for three days between shaves. Each panellist gets a two-week settling-in period to get familiar with the different shaver types before testing them. Each man comes into our Which? test lab after either one or three days, depending on their shaving preference. We give them two different electric shavers with the branding removed. Each man shaves half his face with one shaver and the other half with the second shaver he's been given. We ensure that each shaver is used the same number of times by each man, and equally on the left and right side of their face. Our lab experts assess the skin for redness, irritation and missed hairs, while each triallist completes a detailed questionnaire that asks them to rate how close and comfortable the shave felt and how easy the shaver was to use. 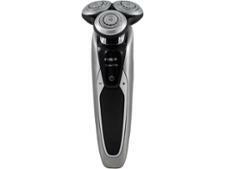 See our selection of Best Buy electric shavers. Not a member? Join Which? to access these and thousands of our other independent reviews. Many shavers are cordless which is great when you’re on the move, but not so great if you have to keep charging your shaver. To find out how long each shaver really lasts between charges, we fully charge each shaver and count how many five-minute shaves they’ll deliver before they run out of battery life. The good news is you can expect to get at least nine shaves from almost all the shavers we looked at, so you won’t need to pack the charger if you’re going for a week in the sun. The best last more than four weeks before running out. Some shavers have a quick-charge feature, designed to store enough power for a shave after just five minutes charging. We never believe a claim though until we’ve verified it though, so we test each shaver to make sure a five-minute quick charge will give you at least one five-minute shave. For most of us, shaving is a daily ritual that isn't particularly enjoyable. To help you minimise the time and effort you spend on it every day, we test how easy electric shavers are to use and clean. The best fit comfortably into the hand, don't vibrate excessively and can simply be rinsed under the tap to clean. We also have our user panel provide a subjective assessment of how loud each electric shaver is – the worst are loud enough to wake up your partner in the next room, which could be very annoying if you're shaving late at night or early in the morning. Discover the shavers we'd recommend you steer clear of in our electric shaver Don't Buys. It’s only natural to be a little clumsy if you’re still half asleep, so we make sure your shaver can withstand the odd mishap. We drop them from a height of 80cm onto a hard surface, and subtract points for any serious damage sustained. Plus, if there's a pop-up trimmer, we flick it up 1,000 times to make sure it’ll work when you need it. An electric shaver needs to score 77% or above to be a Best Buy. Those scoring 45% or below are rated as Don't Buys - these are electric shavers that are so bad we think you should avoid them altogether. We changed the way we test electric shavers in 2017. To better reflect the needs of less regular shavers, we’ve added a new ‘three-day stubble’ test. We’ve also changed the way our triallists compare shavers. Instead of using the same shaver for five days in a row, they now shave each half of their face with two different models every day in our lab, and assess each one immediately afterwards. Other improvements to our testing include the quick charge test. Previously we used the manufacturers’ recommended charging times, which varied between three and five minutes. But it doesn’t seem fair to compare different charging times, so we now charge each one for five minutes before timing to see how much shaving time this provides. All these changes mean that results for shavers tested before October 2017 aren’t directly comparable with those tested more recently. 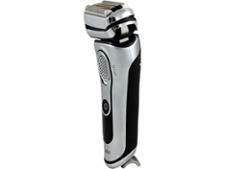 However, each score still gives a very good indication of the overall performance of the shaver.